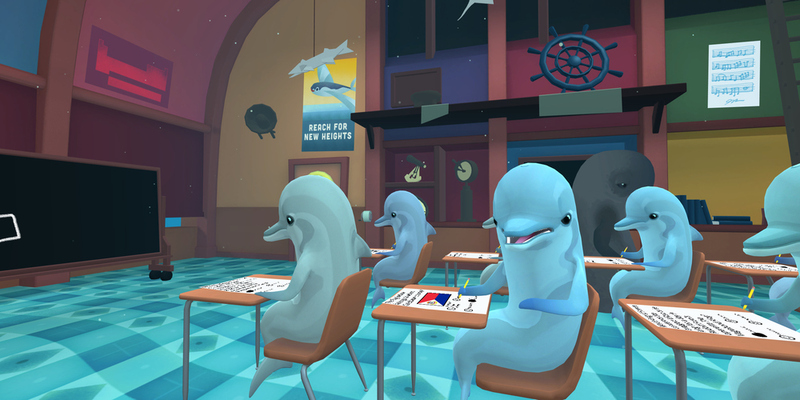 Play as a foreign exchange diver student in a school for dolphins, going through classes that you're in no way prepared for. You must resort to cheating in order to be the best student in school. I am responsible for All character modelling, rigging, and animations in the game. I also am responsible for some environment modelling and texturing. 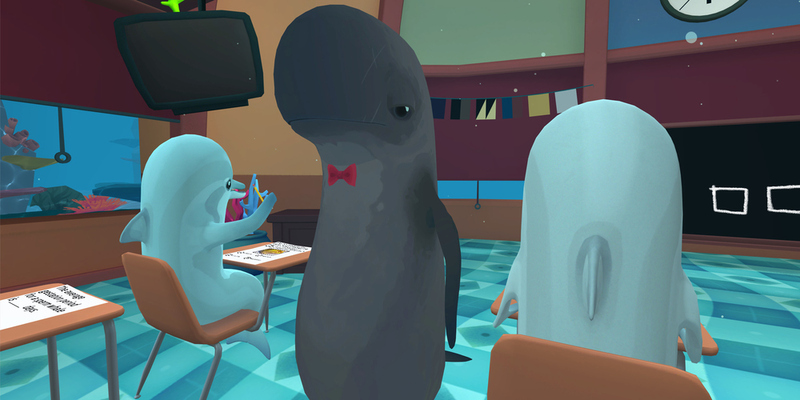 The pictures above show the current state of the students and Professor Porpoise in the history classroom. The professor patrols the class, helping students, keeping an eye out for cheating, and punishing any troublemakers. 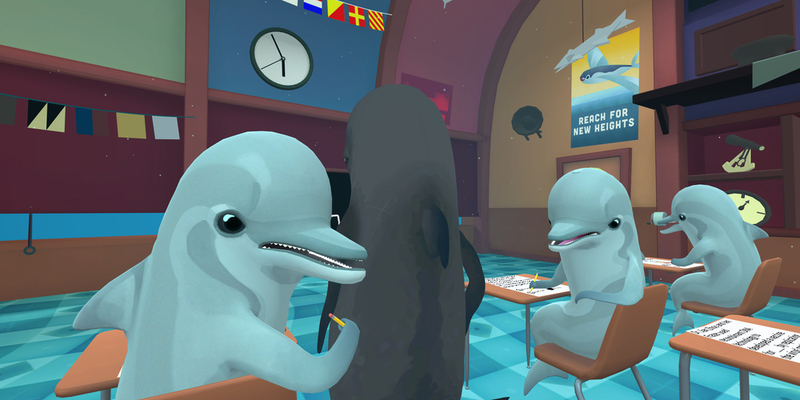 To understand dolphin behavior their faces and bodies must be expressive to give the player feedback and show their emotional state. As you play the students might notice you peering at their tests. If they catch you cheating they will become angry and try to cover their test and will report you to the teacher if you don't stop. The professors all have their own teaching styles, class layouts, and methods for cheating prevention. Above are a few animations from Doctor Delphinidae as well as an example of sea life that can be observed from your desk at school.